Okay I officially declare this blog, Insinyur Pikun, go to Google SandBox. And hopefully not until I got banned. But insyaAllah still have not got to the stage banned. Because there are 1 posts still indexed by googole. RUDYS Tailor Penjahit Jember Murah which thank God is still indexed by Google (at least my computer is still visible when I search with the keyword "Penjahit Jember" may still stack my computer or what, if any, I am almost sure that link will decline and then disappear). So what is Google SandBox is? Actually can be found on Google with the keyword: “what is google sandbox”. But I still will give some description about Google SandBox, according to what I understand from browsing results. The point is, if your blog/website go to Google SandBox, then the blog/website will be hard to not be indexed or even indexed by Google's search engine. This morning is the beginnings I know this blog is going to Google SandBox. Yesterday, I tried to look for my blog with search engine Google with the keyword "wisata alam jember", my post titled Liburan: Wisata Alam Sekitar Jember Saat Puasa Sampai ke Bali is still indexed to Google and enter on page 3. But this morning I was looking up to page 20, I did not find it. I try with other keywords that are usually indexing my blog, like “kuliner jember” dan “harvest moon back to nature untuk android” did not show up in Google. Fortunately there is still only one post is still indexed by Google as I've described above. Even then, this picture is usually indexed in the main courtyard, today totally lost, I don’t know where. Sad. How to know whether your blog/website go to Google Sandbox or not, is quite simple. (1) Find A blog/website using Google's search engine in accordance with the theme of your blog/website, then look if your blog/website exist in one page of Google? If your blog is there, it meaningful blog/website safe from Google SandBox. If not how? We still have 2nd, 3rd, and 4th way. (2) Enter the Google seacrh tab like this -> site: address addres blog/website. Eg -> site:http://kerikilberlumut.blogspot.com/. (3) Search headlines blog/website on search engines Google. Eg for this blog headline is Insinyur Pikun. (4) Go to the following address, http://www.searchenginegenie.com/sandbox-checker.htm, and enter the address of blog/website there. Of way (1), (2), (3), and (4) that I try, just 2nd way were successful indexing my blog. The most disappointing is 3rd way. I try to find the word: Insinyur Pikun at Google's search engine but my blog does not show up at all (YOU CAN IMAGINE HOW DIZZY I AM, I'VE BEEN SEARCHING THE MAIN TITLE BUT IT DIDN'T APPEAR). Especially for 4th way, I got a message "Your site is still in Google Sandbox. 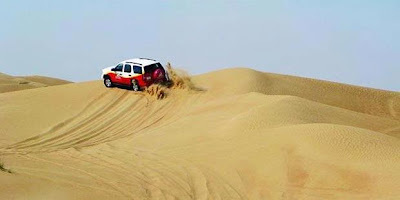 Contact support@searchenginegenie.com to get you out of the Sandbox.". Out of curiosity, I tried to incorporate some blog address, but the result... The message still appears. So the credibility of the web at 4th way is questionable. Or maybe we agreed to delete this story? Do not be eliminated this ... hahahaha but we can forgotten it. What causes blog/website going to Google SandBox? From the results of blog walking, I found the cause is as follows. Perform optimizations that are too excessive. It's been almost 2 years I was not doing this blog optimization, and has during that time this blog safe from Google SandBox. Too many Ping submit that in a day. 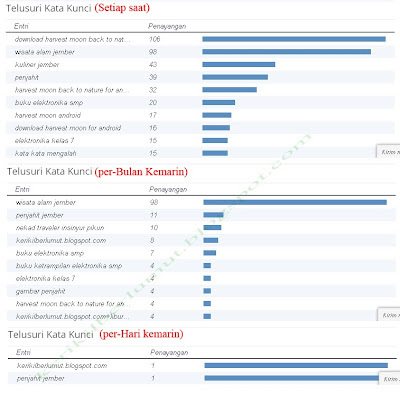 My blog visitors on average is 100, but since the blog contest at Telkomsel, my blog visitors surged. Too many incoming backlinks. During the blog contest blog at Telkomsel, I casually commented on the blog following the contest. Could this be causing my blog go to Google SandBox? Copas (Copy Paste) Articles , also known as plagiarism, and if not given a link source for Copas Articles we've do. I always include a link if I copy articles or images on a blog/web. Like this post, I've included the original address. Too much repeating the same word in a post. I am still baffled by the cause of the number 5. How could I not? Take just this post, I wrote about Google SandBox, how can I not repeat that word many? Using the other pronoun? I could not understand. Google made improvements to their search engine algorithm system. JUST SO GOOD! Web/blog contains a virus. Absolutely not! Following Program Paid to review. Absolutely not! Rarely updated. Could it be! Too many leave comments that are unrelated (spam) the others blog/website. Could it be! Like the description at number 3. Traffic increase is too drastic, neither on the search engines or the number of visitors although the age of the blog is still new. Could it be! Discovery of a link to or from websites that are included in the category of "criminals", such as ga * bling, po * no, bl*ck SEO and others. Absolutely not! Discovery of the things that violate Google's Webmaster Guidlines on the website in question. I don't know... I don't understand what is Google's Webmaster Guidlines. Infringement of installing Google Adsense on our blog (Google clamp that has Google Adsense). I do not put Google Adsense. But yesterday I idly install Google Chrome image on my blog (linked at Google Chrome). I post this link here not because of Google Adsense. It's because I really like Google Chrome. As in the description that says, Google Chrome is a browser that combines a minimal design with sophisticated technology to make the web faster, safer, and easier. Really helped my computer that work slowly. And it was only yesterday, how could I use one? Even then, that not Google Adsense. How to cope and pull out the our blog/website of Google SandBox? After I had been looking at Google about Google SandBox, which I found just the causal course, there is no significant way to remove the blog/website of Google SANbox. But the average informs: RESIGNATION and PRAY to Allah SWT our blog/website quickly get out of the Google SandBox and Google would be kind and forgive what ever our fault. Belum ada Komentar untuk "Officially Goes to Google SandBox"